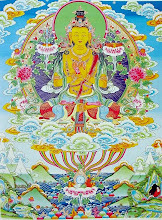 When living beings in Jambudvipa generate thoughts, they usually commit offenses, because most of their thoughts are motivated by greed, desire, jealousy, obstructions, and arrogance. Proper thoughts respect those who are better in something than oneself and aid those who are less able. Because we beings have not resolved to act in this fashion, our thoughts almost all constitute offenses. Many people study for a year or two and then decide to quit the Buddhadharma. In the first year of study the Buddha seems to be right before their eyes; after two years he seems to retreat a bit, and by the end of the third year he is eighty-four thousand miles away. After this he seems to retreat to the very border of the universe. These feelings represent withdrawal from one’s initial resolve. Even those who do not think about quitting should constantly inspect their thoughts and actions to be sure they are in accord with their resolve as it was when they first left home life. For example, those who have gone forth into the homeless life cannot speak casually all the time, because talking is a useless waste of vital energy and spirit and an impediment to cultivation. Constant inspection of your own behavior to ascertain that it is in accord with your initial resolve to study the Buddhadharma is a sign that you are not retreating from that resolve. Many people begin to cultivate and then encounter some demon or other and are turned away by it. Once you encounter evil conditions and become involved in them, they tend to increase and grow. 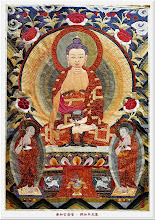 However, the resolve for enlightenment can either grow day by day or diminish and scatter. Most living beings tend to decrease their thoughts of enlightenment, and to grow toward evil. In the analogy given in this passage, the rock represents the heavy load of evil karma, the muddy bog represents the three states of woe, and the good guide is the Buddha, a Bodhisattva, or a Good- Knowing Adviser with great wisdom who takes some of the load. “World-Honored One, the habitual evil of living beings extends from the subtle to the overwhelmingly great. Since all beings have such habits, their parents or relatives should create merit for them when they are on the verge of dying in order to assist them on the road ahead. 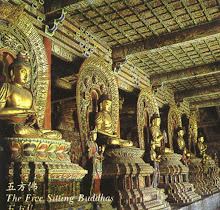 This may be done by hanging banners and canopies, lighting lamps, reciting the holy sutras, or making offerings before the images of Buddhas and sages. 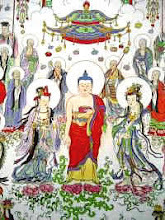 It includes recitation of the names of Buddhas, Bodhisattvas, and Pratyekabuddhas in such a way that the recitation of each name passes by the ear of the dying one and is heard in his fundamental consciousness. Its realm is that of the seventh’s waves blown up by former states. It is the first to come and last to go, acting as the host. In this verse the Eighth Consciousness is compared to a vast sea that stores the past, present, and future. The myriad thoughts of living beings are like waves on the sea, and they are transmitted by the Seventh Consciousness to the Eighth. Once they have perfumed the Eighth Consciousness, they are held or stored up and are the seeds from which organs, body, and objective world sprout. 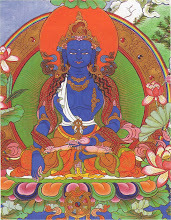 At birth this consciousness is the first to appear, and it is the last to leave at death. Consequently it acts as the master. Although false thoughts appear as functions of the Sixth Consciousness, they come from seeds in the Eighth. When all the other seven consciousnesses have scattered and left at the time of death, the basic, or Eighth Consciousness remains a while longer. 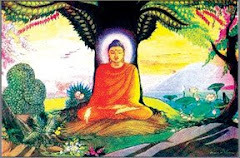 At that time Mahayana sutras should be read aloud or the Buddha’s name recited, and they should be spoken loudly enough to be heard by that consciousness. This is not the only thing that can be done to benefit the dead. 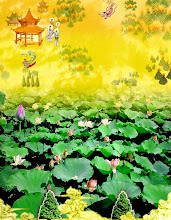 During the first forty-nine days after death, the severity of karmic retribution is not determined; many merit-producing practices that can have a beneficial effect can be done on behalf of the dead during this time. 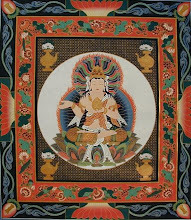 “Therefore, before the World-Honored One, as well as before the gods, dragons, and the rest of the Eightfold Division, both human and nonhuman, I vow to exhort the living beings of Jambudvipa to be careful and avoid harming, killing, and creating evil conditions, or calling on ghosts, spirits, or Wang Liang on the day of death. Why? Sacrificing beings is not in the least helpful to the dead but binds up the conditions of offense so that they grow ever more deep and heavy. The dead one might be due to receive a good retribution and be born among men and gods in his next life or in the future, but because of offenses committed by his family in his name, his good rebirth will be delayed. Everyone must undergo the Evil Paths in accordance with his own deeds; it is even more unbearable when survivors add to those deeds. It is as if a man had been traveling from a distant place with a hundred-pound load and had been cut off from his provisions for three days. If he were suddenly to encounter a neighbor who gave him a few more things to carry, his load would become heavier and more distressing. Sacrifice pigs and sheep to ghosts and gods. This killing reflects enmity from past lives. Why add frost to snow? For heads and faces change ten thousand times. In the depths of the sea or sky. In China people often make offerings on major occasions. They are called red sacrifices if made for the living and white if made for the dead. People don’t always understand how things ought to be done, and when someone in their family dies, they pray to the gods and spirits to keep their relatives out of the hells. In order to obtain a response they bring offerings of chicken, pork, and other flesh foods and repeat such offerings again and again. This constant taking of lives reflects enmity from the past. Once a killing takes place, it is repaid in kind, and a vicious cycle is inaugurated, all the result of hatred that began in past lives. To commit more killings on top of those already committed is as senseless as adding frost to already frozen snow. It is simplistic to think that pigs are just pigs, and that sheep are only sheep, for they are often people who have fallen into the realm of the animals. People can become pigs; pigs can become people. In fact, if you study the inhabitants of any particular country you will often find that they look a great deal like the kind of animals they most like to eat. Countries where people eat a lot of pork are often inhabited by porcine people, and it may also be observed that the eyes of people who eat a great deal of beef are slightly bovine. In some countries of Southeast Asia, people eat great quantities of frogs, and many have froglike eyes. Such changes are constantly occurring. The Surangama Sutra explains how sheep are transformed into people, and the same logic applies to other animals. The spiritual nature of a pig may end up in the body of a human, and a man may end up in the body of a swine. This is just like moving from house to house. It is possible to go from a great mansion to a wretched hovel. At the moment, we happen to be people, but it is not certain that we always have been or will remain so. Wait until you find yourself in the realm of the pig, and you will suddenly find out how unpleasant it is. Although most people think that everything remains static and unchanging, those with penetration into past lives know about this constant motion and interchange and the interrelation of all living beings. 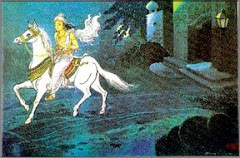 When a dead man comes to be judged by King Yama, the sacrifices made by his relatives for his sake are held against him, and even though he claims no connection with the deeds, they still affect his rebirth. From this it can clearly be seen that the best thing to do after a death is to maintain the practice of vegetarian eating, recitation of the Buddha’s name, and recitation of sutras, in order to lighten, rather than increase, the deceased person’s karmic burden. Creating offense karma for a dead person is like adding more weight to the burden of one who is already weak with hunger. The addition of further weight can only make him stumble and fall more heavily. In this analogy the baggage represents the Five Skandhas, and its weight of a hundred pounds stands for the Ten Evil Deeds. The neighbor who adds this weight stands for the relative who sacrifices animals for him. 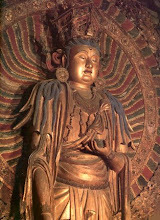 Earth Store Bodhisattva replied, “Elder, based on the awesome spiritual power of the Buddhas, I will now explain this matter, in a general way, for the sake of living beings of the present and future. Elder, if living beings of the present and future on the verge of dying hear the name of one Buddha, one Bodhisattva, or one Pratyekabuddha, they will attain liberation whether they have offenses or not. The phrase, “on the verge of dying” specifically refers to the time the life-force is cut off. The life-force consists of three things: warmth, breath, and consciousness. When warmth ceases and the breath stops, the dispersal of consciousness follows. Of this moment it is said, “When the birds die their calls are pitiful; when men die, their words are always good.” At the final moment people tend to awaken to what they have done and manifest a good heart. They become aware of their errors and may repent. 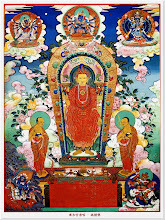 If they hear the name of a Buddha, Bodhisattva, or Pratyekabuddha at that time, they may eradicate limitless offenses and plant limitless good deeds. It is because of the extreme importance of this moment of death, and the difficulty of maintaining a clear thought of repentance at that time, that we constantly recite the Buddha’s name while alive. If we wait until the moment of death, it will be too easy to forget to do this. But if we recite while alive, we will be unable to forget at the critical moment. While it is possible to wait until the moment of death to recite the Buddha’s name and become good-hearted, such an act is difficult to manage at this time. “When the great ghost of impermanence arrives, the spirit roams in darkness and obscurity, not knowing what is offense and what is merit. For forty-nine days it is as if one were stunned and deaf, or as if in a court arguing karmic retribution. Once judgment has been fixed, rebirth is undergone in accordance with one’s deeds. 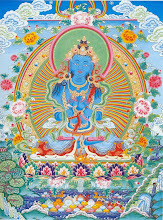 Before that rebirth is reached, there are thousands of ten thousands of worrisome sufferings that must be undergone. How much more is this the case for those who are to fall into the Evil Paths. During the period of the seven weeks following death one is as if in darkness or as if in a court arguing his case. 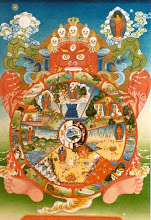 In the hells there are ten Yamas, each of whom has five subalterns. The first of these lower-ranking officials is called Fresh; the second, Water; the third, Earth; the fourth, Wood; and the fifth, Spring. Within all five divisions there is argument and discussion about the deeds that have been done and the retributions to be undergone. In China it is customary to have monks recite sutras and do various things for the benefit of the dead during the seven weeks following death. This custom is derived from the principle clearly stated in this passage. 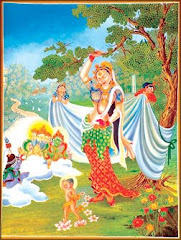 After this had been said, thousands of tens of thousands of millions of nayutas of ghosts and spirits of Jambudvipa who were in the Trayastrimsa Heaven resolved their thoughts on the unsurpassed enlightenment. The elder, Great Eloquence, made obeisance and withdrew. It is customary in Buddhist societies to make special food as an offering to the Buddha on Holidays and special occasions. 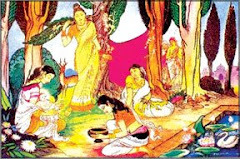 It is particularly stressed here that the food may not be eaten before it has been offered to the Buddha and Sangha. In general this holds true for whatever is eaten in temples and Buddha-halls. When an offering is made people usually use an odd number of bowls reserved for this purpose only, and place them symmetrically in front of the Buddha images. Carefully and orderly arrangement of the offering is a sign of respect; tossing things down before the Buddha is not permitted. 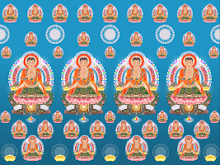 People who have any sense of cleanliness and propriety are not pleased when something is thrown in front of them, and since the Buddha is ultimately pure and proper, it is unseemly to toss things before him. The place reserved for offering bowls should not be cluttered with articles that do not pertain to the offering; it should be a place especially set aside for offerings. 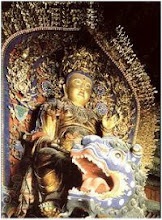 Anything used as an offering to the Buddha should not only be carefully placed, it should be properly laid out as well. That is, it is not correct to bring an offering in a box and then set the unopened box in front of the Buddha. It is a matter of simple courtesy. We would never invite a guest to dinner and then set an unopened bag of food before him, and we ought to realize that this applies to the Buddha as well. Everything should be symmetrically placed and well arranged, for there is an order to everything. 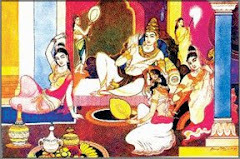 Sometimes an offering is made in which hundreds of dishes are used, some containing food, others holding clothing, jewels, or anything else that is new and unusual. 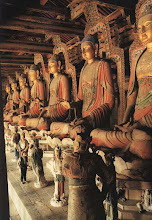 The offerings are passed from one person to another, so that each person, in turn, offers up each article. This order holds in relations between those who have left home as well; one who has been ordained a moment longer is to be regarded as senior. This is not a question of years but rather of seniority in Buddhism. If you are one hundred years old and have just left home, you are junior to everyone else. 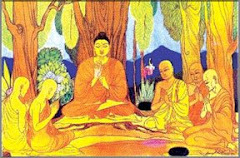 When bhiksus die, their age is recorded in two cycles, and it will be said, “His worldly age was sixty and his precept age was forty.” All of these matters may seem trivial, but they are important issues in Buddhism. Now that the Buddhadharma is being properly established in the West, it is important that such things be understood. 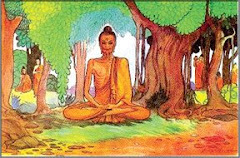 If offerings are cultivated with great reverence and respect; if the Sangha does not eat until the offering has been made to the Buddha; if the lay people wait until the Sangha has been served; if everything is handles properly, arranged correctly, and treated with the proper respect, the dead receive one seventh of the merit generated.